The George Farnham Gallery is delighted to promote the work of Suffolk-based abstract artist, Tracy Harper. Tracy's work is large, bold, strong and powerful. Emotions .... indeed neuroses .... are at the centre of Tracy's work; both those she experiences herself and also witnesses in others. 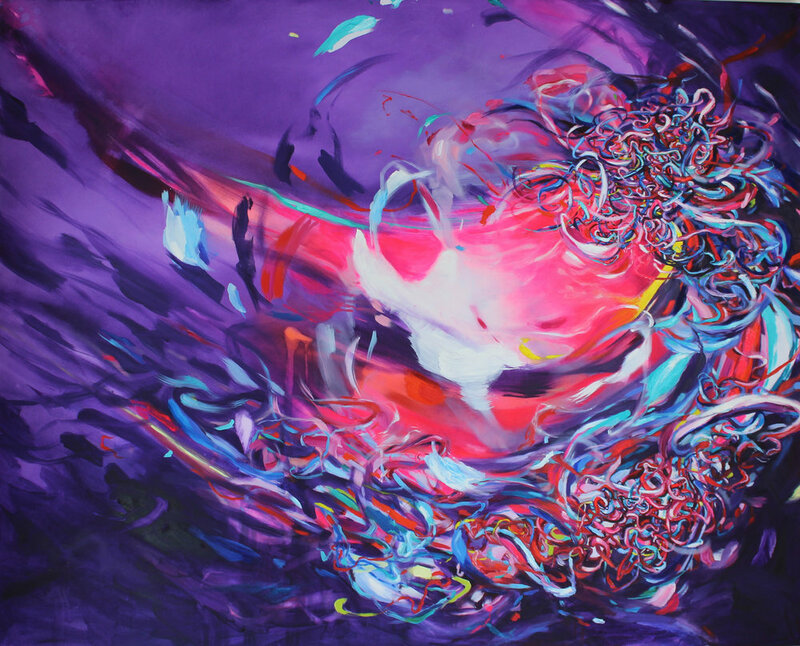 Tracy's large abstracts evolve through a series of entwined lines and contorted shapes. Paint is dripped, splashed and wiped ..... dripped, splashed and wiped in layers to build up depth and form. The end result draws the viewer in, provoking, indeed demanding, a visual, intellectual and emotional response. Whilst the origin for Tracy of each of her paintings is "given away" in the title, Tracy is keen that the viewer brings their own response to her work. The titles are therefore "suggestive" and not "directive". For further information about Tracy's work or to make an appointment to view, please contact Gary or Michael at the Gallery.